For you! Just in time for Valentine’s Day. I’m setting you up with a date. Alright. I’m tired of date puns. 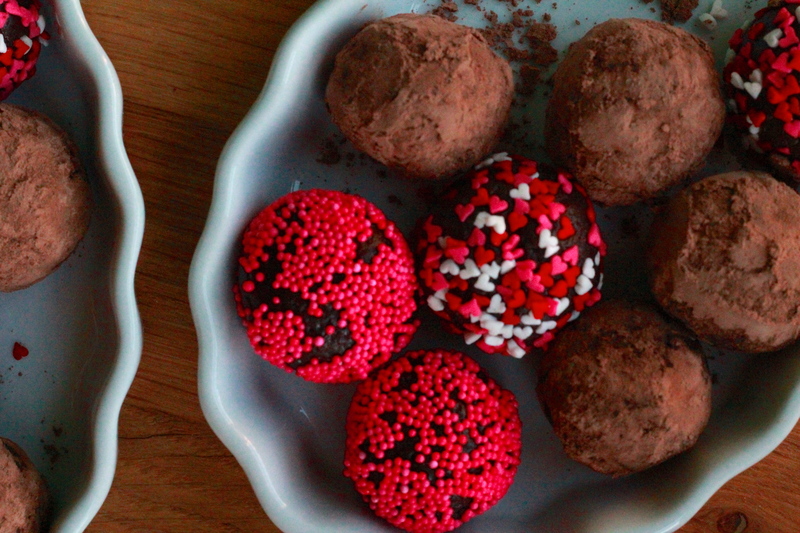 Let’s just talk about truffles, okay? I won’t lie to you — if you’re looking to get your deep dark chocolate on this Valentine’s Day, these little babies won’t cut it. They just won’t. Why? 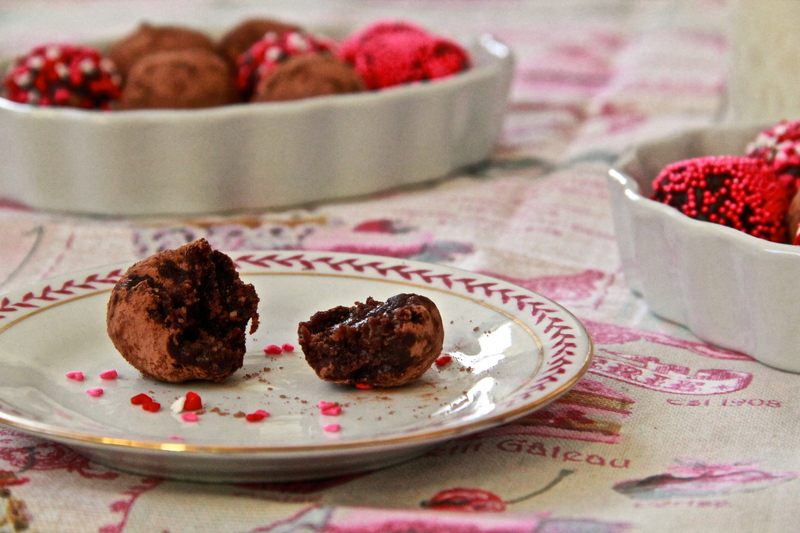 Because these truffles are made primarily with dates, not chocolate. True, they’re rich and luscious and yes, they do take a tumble with some cocoa powder, but I’m just trying to tell you straight — dates are no replacement for chocolate. If you’re looking for some true chocolate action on the 14th, get into this Flourless Chocolate Cake, or whip up a Brownie Berry Tart. Maybe make some Devil’s Food Raspberry Drip Cakes? Chunky Peanut Butter Brownies? Ooh, or World Peace Cookies! Chocolate Heart Sandwich Cookies with Whipped Espresso Ganache? The point is, we’ve got options. Try it out! Put yourself out there for a date. Who knows? Maybe you’ll be pleasantly surprised (and like, totally fall in love and have babies and puppies and stuff). Combine all ingredients (except decorations) in a food processor fitted with a steel blade. Purée until the mixture no longer looks dry and has bunched into one big lump (it will look sort of like (slightly oily) cookie dough. This will take a few minutes on high speed (up to 4), but if you’re really having trouble getting the “dough” to come together, add some water by the teaspoonful until it does. If you’ve added too much water, simply add a bit more coconut or cocoa until you reach a good consistency. Scoop the truffle mixture out into tablespoon-sized balls (I used a small ice cream scoop, which made this easy), and roll them with your hands to make smooth, round truffle balls. 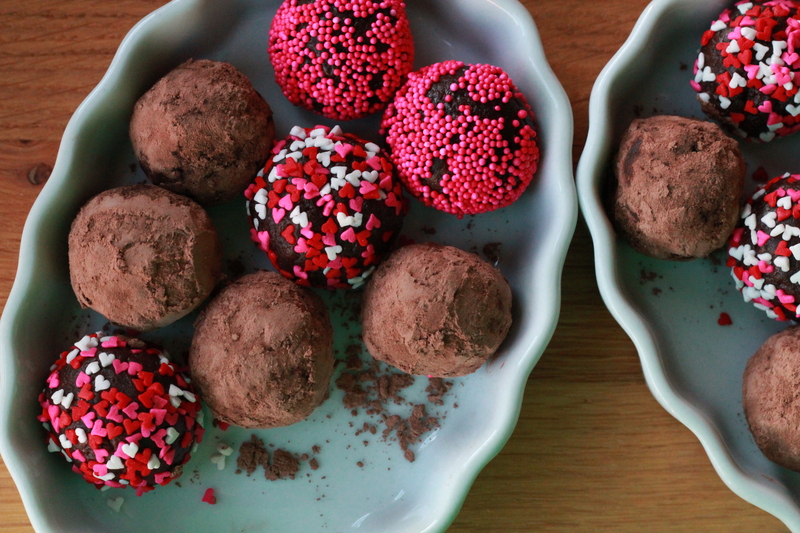 Roll the truffles in cocoa powder or sprinkles to coat. 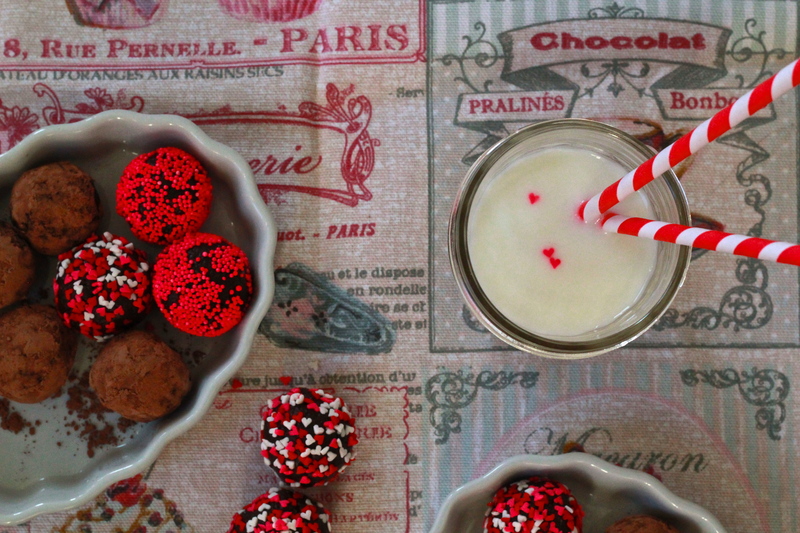 Truffles can be kept, tightly wrapped, for about a week in the refrigerator. They don’t make Sunday. Because of god. I tried to tell him and he didn’t believe me! Would it work without the coconut? Or is that essential to the texture/cohesiveness? Hubby has vehemently opposed coconut in the past, but maybe I can slip it by him… or if I could substitute something else, that would be dandy. 🙂 These sound delicious!! I bet it would work without the coconut — may need a few extra teaspoons of cocoa powder to make up the difference. If you skip it, let me know how it works!